Where in Cyprus is this church located? 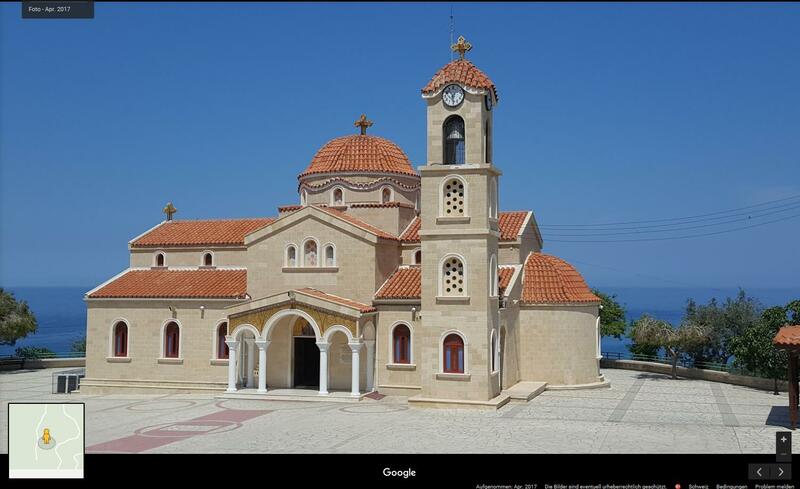 Found this screenshot of a church in EU Cyprus, but can't seem to find out where it is. That'd be the church in Pachyammos, Cyprus - Agios Raphael. And the church on TripAdvisor. Not the answer you're looking for? Browse other questions tagged identify-this cyprus or ask your own question. Where can I see this Darth Vader church? What are these “stone walls” in the sea on Cyprus? Where on Earth is this manor-house-looking structure? New limitations on visiting Northern Cyprus? What is this distinct ceramics style and where it is made? Can anyone identify this church?